Duke Ellington, a Hollywood superstar? What?, you ask. How on earth does America’s most durable and internationally famous composer/bandleader qualify as a classic movie star? Good question. Fact is, Ellington and Hollywood had been on close speaking terms for almost all of the 50-years-plus that he and his orchestra performed on the world stage. His first movie was filmed in 1929 as the sound era was ushered in. His last was filmed only a few years before his death in 1974, three weeks after his 75th birthday. Along the way, Ellington shared a piano onscreen with Jimmy Stewart, was offered co-director status on a movie project with Orson Welles, contributed substantially to one of Vincente Minnelli’s finest musicals and put in onscreen appearances in Mae West and Ann Miller vehicles. And that was just as a performer with or without his superb orchestra in tow. As strictly a composer, Ellington was key to a number of projects including those starring Frank Sinatra and Paul Newman, and one directed by Otto Preminger. The latter once considered using the Ellington standard “Sophisticated Lady” as the theme song for the director’s signature fim noir, Laura, according to author Terry Teachout’s sterling biography, DUKE — A Life of Duke Ellington (Gotham Books, 2013). Classic movie fans will enjoy seeing Ellington and Orchestra interacting with Ethel Waters, Eddie “Rochester” Anderson and Lena Horne in Minnelli’s first film, 1943’s Cabin in the Sky. The movie musical is an unmitigated delight, and Ellington seen gleefully leading his orchestra sparkles in it. Ellington’s score for 1961’s Paris Blues, costarring Newman, Joanne Woodward and Sidney Potier, is much better than the movie. The same may apply to 1966’s Assault on a Queen, starring Sinatra. Concludes Teachout: While the word “auteur” is not part of the vocabulary of jazz, it could just as easily have been coined to describe Duke Ellington as Orson Welles. See Ellington in 1941’s Bing Crosby film, Birth of the Blues, and 1943’s Reveille with Beverly. 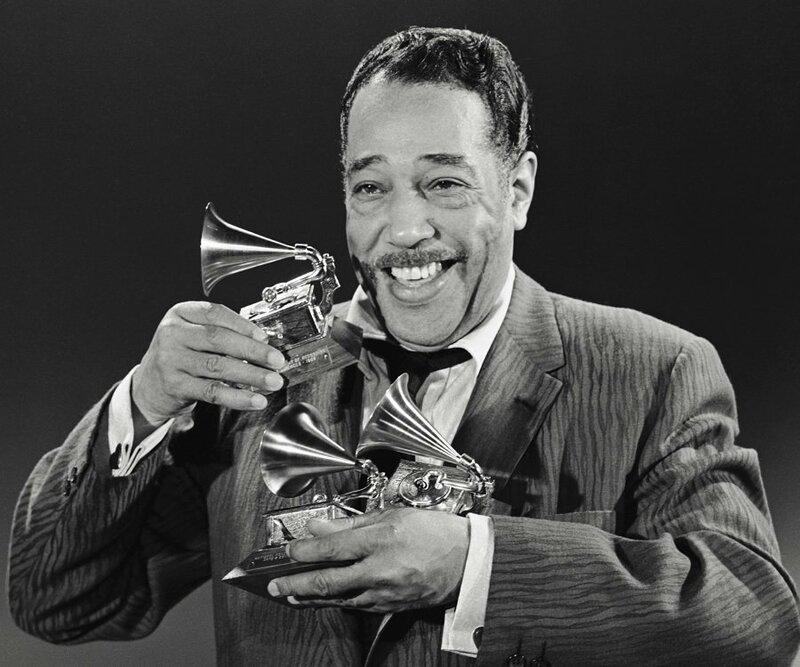 I’ll leave plenty of room for others to comment… I’ll simply say that “It don’t mean a thing if it ain’t got that swing” -and the legendary DUKE ELLINGTON had plenty of that big-time!